This article first appeared in The Edge Malaysia Weekly, on July 24, 2017 - July 30, 2017. 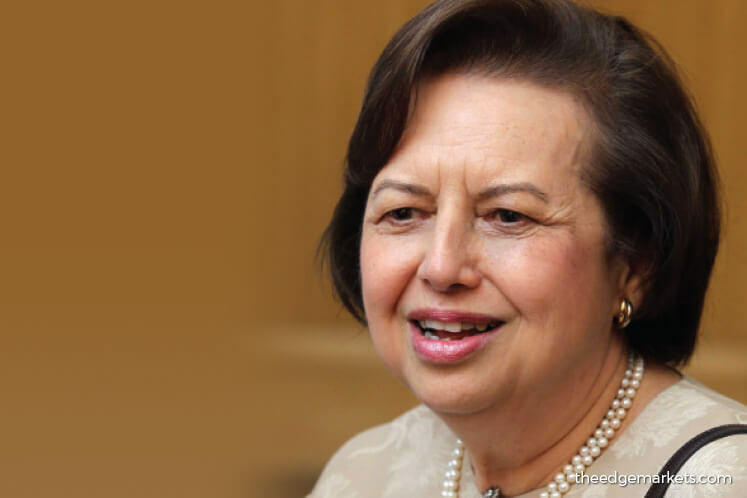 MALAYSIA faces a leadership deficit in both the public and private sectors due to a changing global landscape that demands a new breed of leader, says Iclif Leadership and Governance Centre chairman and former Bank Negara Malaysia governor Tan Sri Dr Zeti Akhtar Aziz. “If you look around the world, there has been a lot of discussion about leadership in the public sector [and] in the corporate sector. I believe there is a leadership deficit that we not only need to create new leaders that can manage in this new environment but [also for] leaders to reinvent themselves. “The world has changed so much due to changes in technology and an increased [level of] uncertainty that has been challenging; all these changes have generated greater visibility, scrutiny and expectations of leadership. We want leaders who can make a difference and create a better future. Essentially, that is how Iclif has defined leadership — and that is what we seek to develop,” she tells The Edge in a recent interview. Iclif is an Asia-based international centre that was established by Bank Negara in 2003. Funded by the central bank, it is dedicated to executive education, research, coaching and consulting services in the areas of leadership development, organisational effectiveness and corporate governance. 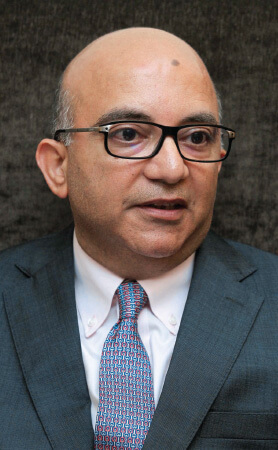 Iclif CEO and executive director Rajeev Peshawaria, who was also at the interview, says that in today’s socially connected world, it is important for leaders to “walk the talk”. “This is a new world where everybody is totally exposed, every action and every word is out in the open, so leadership comes with a huge responsibility today. This means [that leaders] have to walk the talk, they need to have the right values and live them 24/7/365 and they need to have a values-based purpose. “Taking Hillary Clinton as an example, one set of emails caused her the presidency even through [nearly] three million more people voted for her than for Donald Trump; that’s the socially connected world that we live in today and the only answer is to be as clean as anything,” he says. Zeti is credited with envisioning the Asia School of Business, which is a collaboration with MIT Sloan, the business school of the Massachusetts Institute of Technology in the US. “The Asia School of Business aims to develop future business leaders who are principled ... they have strong values and are transformative, which means they will make a change to advance the emerging world,” she says. On what type of leadership works for the Generation Z or post-millennials, Rajeev says this generation still requires autocratic leadership but with a catch — the leaders need to earn their right to be autocratic with them. “There is no question that autocratic leadership is needed today because you need to innovate frequently and at a fast pace, but you have to earn the right to be autocratic so that people will respect and trust you. As for the role of women in leadership, Zeti says gender was never an issue during her 35 years of service in the central bank. “When I left Bank Negara, 38% of senior management were women, and that is quite high, but we never did anything special to enhance women. All we did was to give everyone the opportunity to develop and improve themselves, and women took that and rose [through the ranks] to key positions in certain departments, heading projects and so on. Zeti acknowledges the tough dual roles that women juggle, at the workplace and at home. “It is important for women to have a strong support system [at home]. I was fortunate as I had my mother to help bring up my children when they were very young. “There was a time in my life where my family knew that my job was the most important thing to me, and they all supported me — from my parents and my children to my husband, who put up with me for 52 years, because they felt I could make a contribution. “[Their support] allowed me to accord almost everything to the job for a very long period of time; it was a sacrifice but I always said, when the chips are down, when it is very important to be with family, you have to shut off and attend to whatever that needs to be attended to,” she explains. 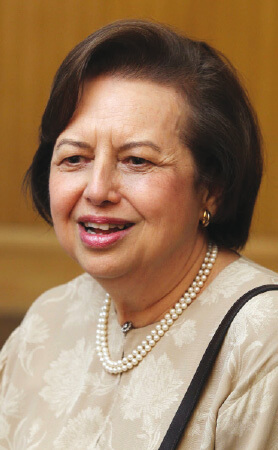 Zeti was Bank Negara’s first female governor and held the post for 16 years before her retirement in April last year. She was honoured with many accolades during her time at the central bank, including a lifetime achievement award from London-based publication Central Banking Journal for being a leading role model for the central banks of middle-income countries. On Nov 8 this year, Iclif will be organising its fifth Leadership Energy Summit Asia in Kuala Lumpur. The two-day conference will gather top industry specialists, subject matter experts and game changers to help today’s leaders face the challenges of the increasingly fast-paced and uber-connected 21st century. The theme of this year’s conference is “Open Source Leadership”, which will seek to explore and expand on what it takes to be a transformative leader in the 21st century, how leaders must reinvent themselves to thrive in a connected, transparent and disruptive environment, and how technological empowerment has transformed companies into open-source organisations.